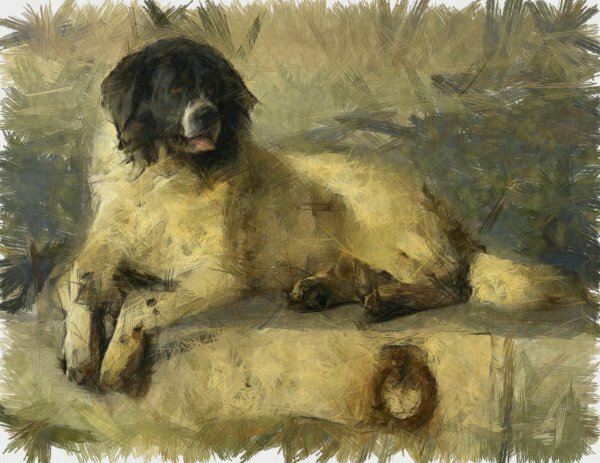 One of the most famous examples of a dog in myth and legend is that of Argos, in Homer’s Odyssey. Argos was the faithful companion of Odyesseus. In the story, Odysseus journey back to his home takes two decades. He discovers that while he has been away, several suitors have been vying for the hand of his wife, Penelope. They have made themselves very much at home within Odysseus’ walls, whilst his dog Argos has been neglected and forgotten. Odysseus decides to enter the house in secret, so as to surprise the unwelcome suitors. It is crucial that he is not recognised by anyone. Disguised as a beggar, Odysseus approaches his home, his identity known only to his son Telemachus. The disguise is so effective even Odysseus’ close friends fail to recognise him. Odysseus spots his old canine companion, lying weary and neglected on a mound of cattle manure. Poor Argos is old, tired, infested with lice and a shadow of his former self. Argos had been Odysseus’ loyal hunting dog, and once possessed impressive speed and strength. Although his senses are not as sharp as they used to be, Argos sees through his master’s disguise. Although he is far too weak to stand, he summons up the strength to drop his ears and wag his tail. 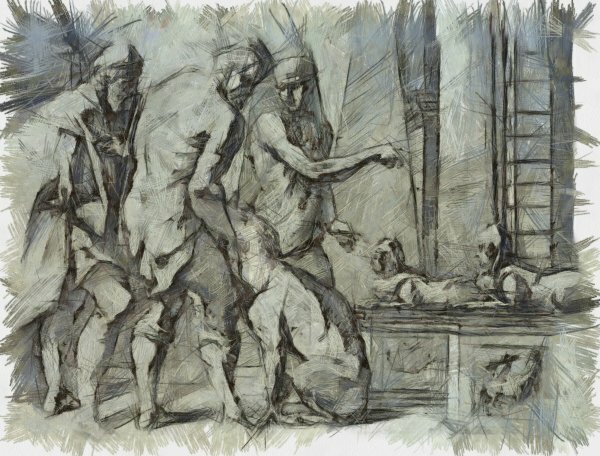 Odysseus recognises Argos, but despite wanting to greet his faithful friend, is unable to do so, as it would reveal his identity. As Odysseus passes by Argos, he sheds a tear for his faithful friend,and enters the hall of the house. As Odysseus enters the house, that single tear still rolling down his cheek, Argos slips away into the afterlife knowing that his master had returned. While we are looking at the work of philosophers, it would be remiss to ignore the philosopher who had the most respect and admiration for the personality and virtues of dogs. Diogenes of Sinope was a rather long-lived philospher born around 412BC, and lived to the venerable age of 81. He rejected all forms of material wealth, and was even found to live in a large ceramic jar. He was certainly someone with very strong views and opinions; he wasn’t afraid to mock Alexander The Great in public, and also would sabotage Plato’s lectures on Socrates’ teachings. He had a keen hatred for Plato and his work. 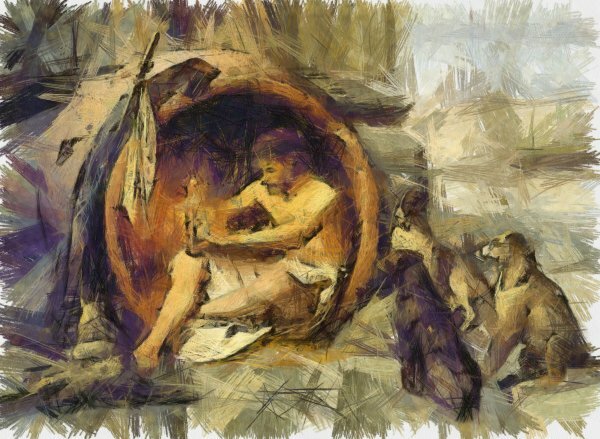 Diogenes believed that dogs could teach humans many virtues. He believed that they lived in the present without anxiety, he admired their ability to sleep anywhere and eat anything. He believed that dogs were inherently honest, and that appealed to his view on the world. Perhaps not famed as a dog lover – and famously bitten by one of Josephine’s canine companions, a Pug called Fortune – Napoleon did have a healthy respect for them and their virtues. On one occasion, Napoleon slipped and fell overboard one of his sea-going vessels. Napoleon himself could not swim, and had it not been for the bravery of a Newfoundland that came to his aid, keeping him afloat until he was plucked from the sea, Napoleon would have perished in a watery grave. On another occasion, when surveying the aftermath of a battle, Napoleon is said to have been led to the body of a slain soldier by the soldier’s loyal dog. 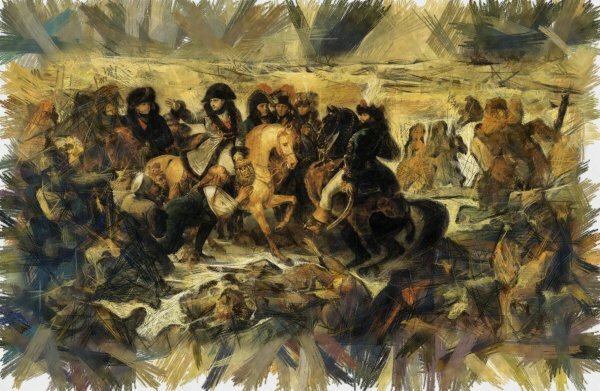 Napoleon recounted the moment, which haunted him to his dying day. Шампоан за косопад домашни маски против косопад.